At the far southern tip of the continent of Africa, one of the largest on Earth, lies one of the most amazing countries that you will find anywhere on Earth. Five times larger than the UK. South Africa has such a breadth and depth to offers its visitors it’s difficult to know where to start…so how about with its history, which is characterised by racial and political violence, territorial conflict, wars of conquest, and inter-ethnic rivalry, the latter of which still exists to this day. The bush-men (Khoi and San) were the original inhabitants having had roots in the region for millennia with a nomadic lifestyle, and empathy to their environment similar in many ways to the aborigines of Australia. Most of the rest of the population trace their history to later immigration. Africans in South Africa are descendants of migrants from central Africa, who first entered southern Africa about 2,000 years ago. White South African were descendants of later European settlers, mainly from the Netherlands (the Boers), Germany, France and Britain – and they all left their mark on the country. Much of the history of the clashes between the Boers, the Zulus and the British – take any two of the three – and there was a battle for land between them stretching back to the early 1,800’s, is remembered to this day in the names of towns, features within the landscape (e.g. Blood River) and countless monuments. Especially so in the east of the country, abutting the Indian Ocean, in the province that is today called KwaZulu Natal. But enough of history, what has South Africa to show its guests these days………..this is like being asked “what did the Romans do for us”……….. (courtesy of the Life of Brian – such a great film). Home to the Mother City of Cape Town where the Atlantic & Indian Oceans meet and close to the southern-most point of Africa. A must visit location on any itinerary usually at the start or end, the Western Cape is home to the majority of South Africa’s vineyards with such well-known name as Franschhoek (“French Corner”), Paarl and Stellenbosch. A tour to at least one of these areas, with a driver/guide of course, just has to be one of your days out. Likewise a trip to Boulders Beach to see the penguins, followed by a drive round Chapman’s Peak and a visit to Kirstenbosch also needs to be on your bucket list. But then there’s Bo Kaap, Robben Island, Hout Bay………..and, of course, Table Mountain. 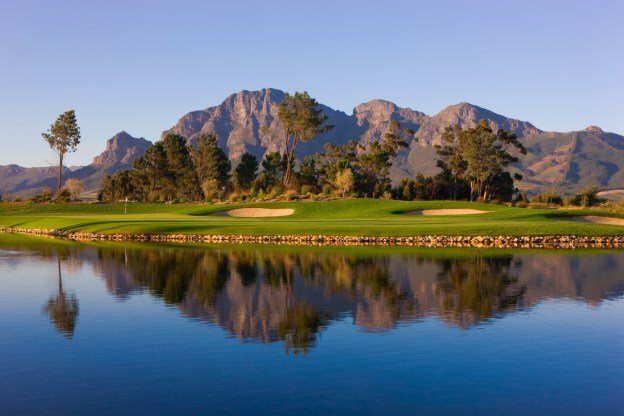 The golf courses in the province are some of the best in South Africa and offer a challenge to golfers of all standards. And the green fees are such good value! 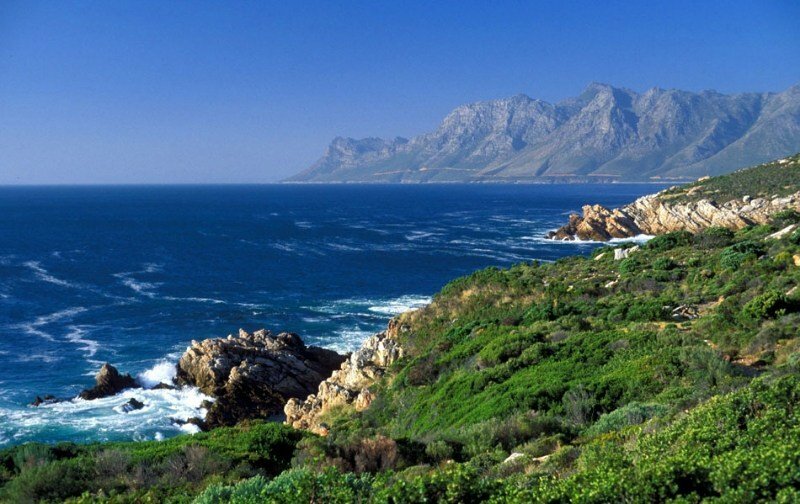 Just a few miles to the east is the coastal town of Hermanus, famed for its very particular flora, found only in this region, called ‘fynobos’. But is flora is not your thing Hermanus is famed for being the location where the Southern Right Whales come so close to the shore that all you need to do, is sit on the cliff top with a glass of the local produce. If that is still too tame, then take a short trip to Dyer Island and go Great White Shark cage diving. So, you’ve done the whole Cape Town thing and now want to strike out and discover more of the real South Africa. 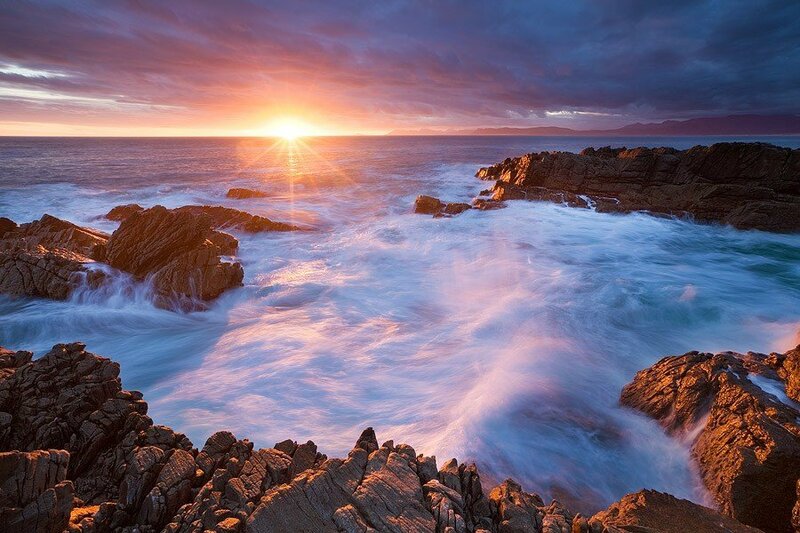 For me you have three choices and I’ll begin with the softer of the three – the Western Cape. Hire a car and drive towards George (it’s scenic in an M4 through Wiltshire sort of way) and the Garden Route unless you cut inland and route through the Karoo. Best visited in their spring (October & November), the region has some quant Cape Dutch homes and beautiful scenery with the lagoon around which Knysna is built being a particular pull. Head further east through Tsitsikamma and onwards to Port Elizabeth and the malaria free game reserves awaits with names such as Addo, Amakhala and Shamwari, home to the Big 5 (lion, leopard, rhino, buffalo and elephant). The real Africa? 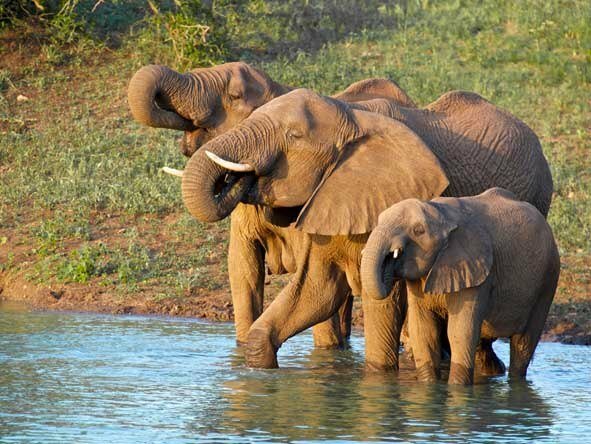 A two hour flight from Cape Town will take you to Kruger Mpumalanga Intl Airport and another of the major pulls for visitors to South Africa – the Kruger National Park. Named after Paul Kruger who was instrumental in its formation. The park is the size of Wales – a tad bigger than Longleat – and borders Zimbabwe and Mozambique. The Kruger has such varying topography that there is a habitat all the major animals you can think of and several hundred more besides. You can self-drive and camp in the Kruger, its great fun and very social but I would also advise spending a little bit more for a few days and finding a rustic lodge in one of the many private game reserves that abut the park. The golf courses in the area are not as plentiful as the other provinces but what is lacked in quantity is made up by their quality. Leopards Creek has views into the Kruger and is arguably the No.1 course in South Africa, whilst further into Limpopo is Legends which houses two courses of such quality that is needs to be on every golfers list of courses to play. And then there’s its famous 19th hole – not the bar but a 400m Par 3 (yes Par 3). Ever taken a helicopter to a tee box………thought not. Golfers are well catered for with several superb courses, including some championship ones, both north and south of Durban and in the Drakensberg. I would definitely recommend Durban Country Club, Zimbali, Prince’s Grant and Cotswold Downs. 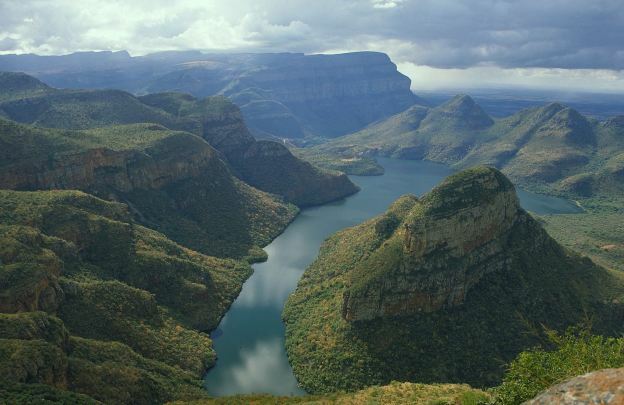 So, that’s my synopsis of South Africa – great scenery, stunning diving, challenging golf, endless walking, delicious wines and nation forming history.